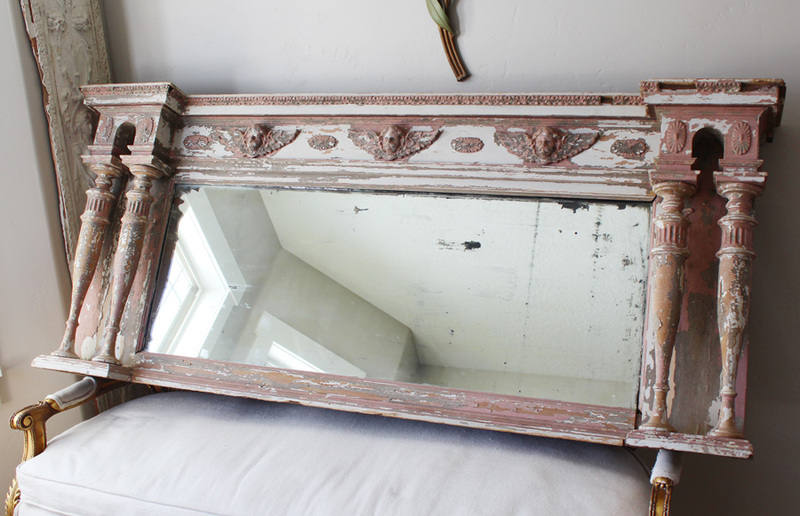 This mirror is swoon worthy! 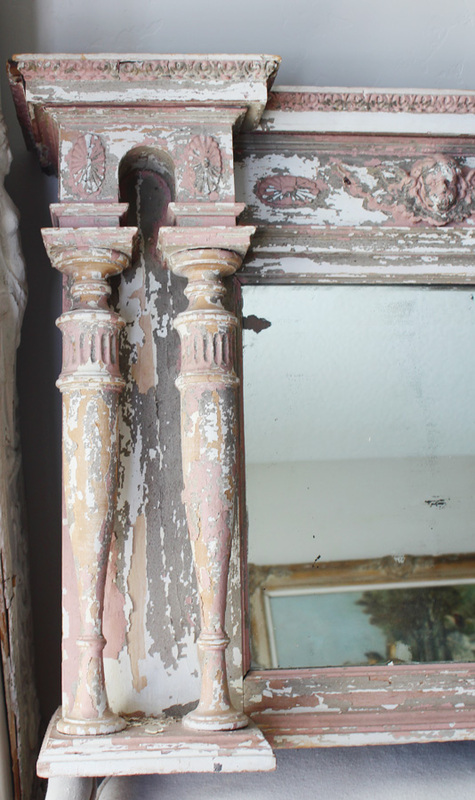 The most gorgeous antique mantle mirror I have ever seen! 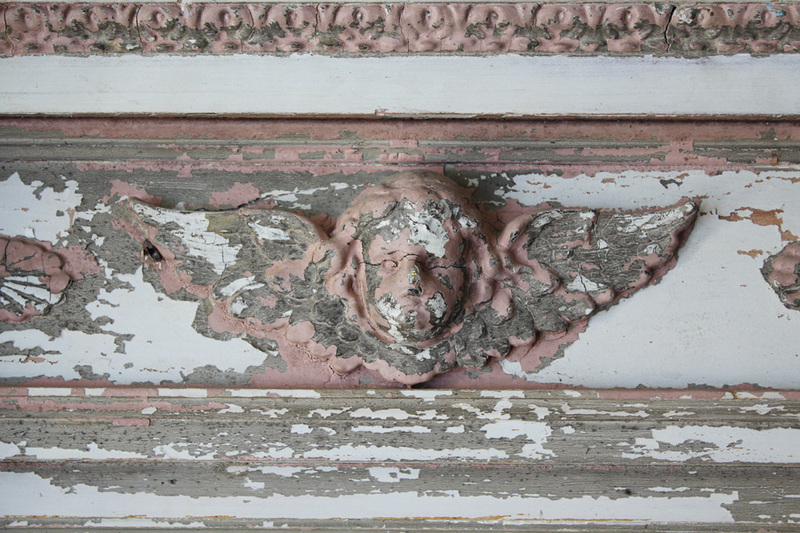 All original with the best chippy pink, grey and white original paint. The details are all so beautiful from the columns to the cherub putties. This would be stunning hung over a fireplace, headboard, used in the master bath or over your sofa.